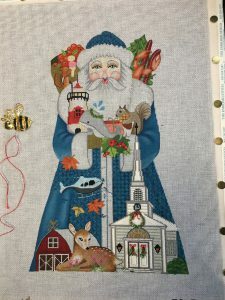 I’ve been working on my New England Santa piece that I will be teaching next April at our Needlepoint in New England Retreat. I’m happy with the stitch for the coat. 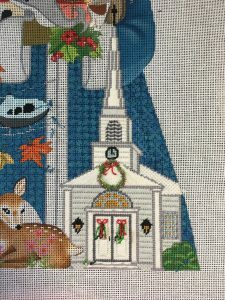 But should I add the sparkle thread or not? The far right side has no sparkle and the area on the right side of the coat next to the white has Petite Silk Lame Braid in the small opening. What do you think? I’m not a religious person, but I sure do feel like I spent some time at church recently. LOL! I love how the wreath came out. And I think, if I do say so myself, that the greenery hanging on the doors is adorable. 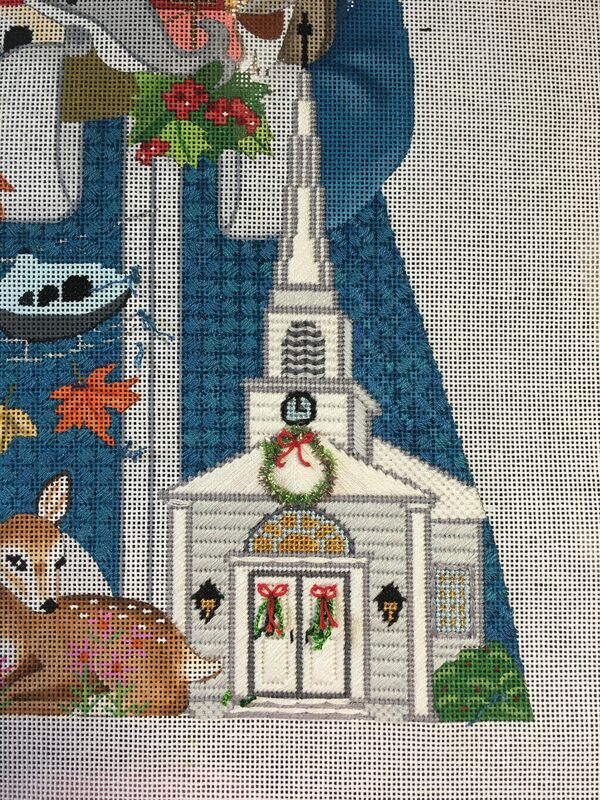 I’ll post my progress as I stitch, as well as the other pieces that are for the retreat. If you haven’t heard about this event, be sure to check it out on the website. Some of the classes are getting close to being filled. So, if you’ve been thinking about coming, don’t wait! All the info is on the website. 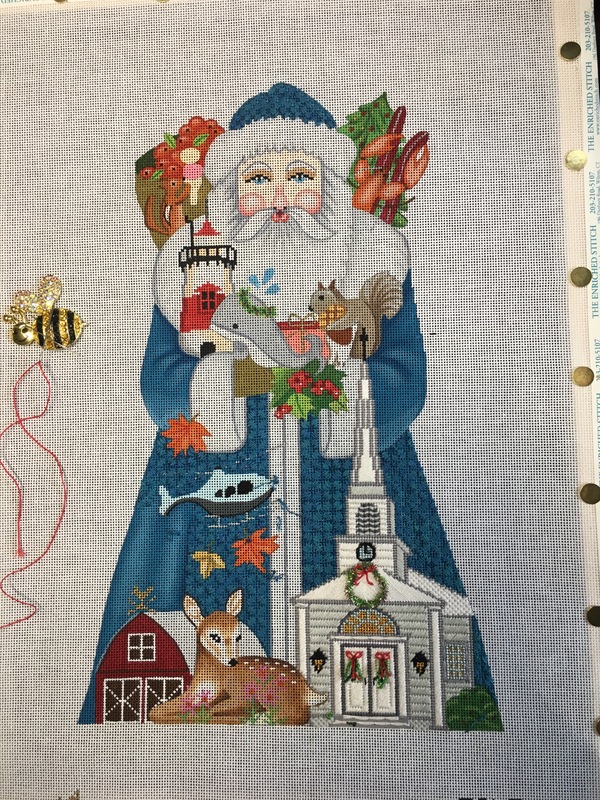 Click here to go to Needlepoint in New England!